The Supreme Court five judge constitution bench of Chief Justice Dipak Misra, Justice D. Y. Chandrachud, Justice A. M. Khanwilkar, Justice A. K. Sikri and Justice Ashok Bhushan on Wednesday agreed to consider the question as to whether states can make reservation in favour of the in-service candidates for Post Graduate medical courses and reserved its ordert in respect of the interim relief for the state of Tamil Nadu. Replying in the negative, Senior Counsel Arvind Datar explained, “since 1991, for over 25 years, a practice has been followed in many states including Tamil Nadu that of 100 seats in the pool of eligible candidates, 50 are attributed to the All-India category and 50 to the state quota. Of the latter, 25 seats are allocated to the open market and 25 are reserved for the in-service candidates...the judgement in Dinesh Chauhan rendered on August 16, 2016 observes that once the MCI has framed the regulations, the state has no role to play, the judgment dated May 2, 2016 in Modern Dental holds that Entry 66 of List 1 is only for the maintenance of academic standards and the state government shall always have the power of reservation...even in the judgment of the five judge bench in Preeti Srivastava v. State of MP (1999) it was observed that the role of the MCI stops at the Maintenance of standards...”. Senior Counsel V. Giri backed the said submission. “Then what would be the benefit for persons to opt for government services over private service? They are hoping for a quota of 25 seats from the government...please allow the prevailing practice to continue for one more year...”, interjected Mr. Datar. “Please apply the equalising principle of Gopal D. Tirthani [(2003) 7 SCC 83] to Dinesh Chauhan...the open quota may not be continued...there maybe compartmentalisation...”, urged Senior Counsel K. V. Vishwanath, also for the petitioners. Referring to the judgment in Chitralekha, Mr. Datar sought to submit that Article 15, governing communal reservation, is a facet of Article 14. Mr. Singh remarked that the Proviso appended to Regulation 9(4) clarifies that Article 14 is not being dealt with. When Justice Bhushan opined that a wider interpretation needs to accorded, Mr. Singh advanced that the proposed category was one not anticipated by the MCI and that upon reservation, merit would get diluted. Perusing the language in Regulation 9(4), Justice Chandrachud observed, “There may be only two merit lists- the All India list and the state list...there cannot be a quota within the state list...in computing the merit within the state list, the Proviso [to Regulation 9(4)] shall apply...”. “Exactly! Once the NEET has taken place, of the successful aspirants, those who apply for Tamil Nadu separately and who maybe number 5 or 10 in the All India list become numbers 1, 2, 3 and so on in the state merit list. Of these, those who have been in-service in hilly areas get the incentive of weightage of marks and jump up in the merit list. If Your Lordships pass an interim order, it will dilute merit”, advanced Mr. Singh. 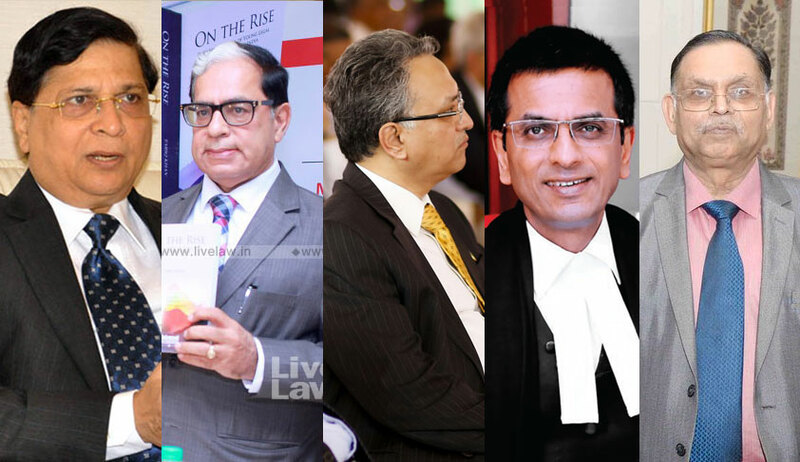 In respect of the petitioners’ claims, Justice Sikri on Wednesday also remarked, “You have put it innocuously that merit is being disturbed”. It was also advanced on behalf of the respondents that there is no discrepancy between the judgments in Dinesh Chauhan, Chitralekha and Modern Dental, in so far as Modern Dental agrees that where Entry 66 of List I applies, the state cannot interfere under the guise of Entry 25 of List III. Further, it was contended that Article 246 may be the enabling power but there has to be an enactment to effect the claims of the petitioners. The judgment in Sudhir v. State of Kerala [(2015) 6 SCC 685] was also relied on. Further, Mr. Vishwanath referred the bench to the authorities of State of MP v. Gopal D. Tirthani [(2003) 7 SCC 83], K. Duraisamy and Another Vs. State of T.N. and Others [(2001) 2 SCC 538] and D. N. Chanchala v. State of Mysore [(1971) 2 SCC 293]. In response to the Chief Justice’s query as to position in other states, it was advanced that while states like Goa have fewer rural areas, states like Madhya Pradesh need more doctors in rural areas. Mr. Singh submitted that in some states, the entire territory has been designated as ‘backward area’. Although the Union contended that the issue has been settled in Dinesh Singh Chauhan case [2016) 9 SCC 749], the bench agreed with the contention of the petitioners that, in the said case, the Court had not considered the legislative Entries and there was no reference to three Constitution Bench decisions of the apex Court, namely, R. Chitralekha and Another v. State of Mysore and Others, reported in (1964) 6 SCR 368, Kumari Chitra Ghosh and Another v. Union of India and Others, reported in (1969) 2 SCC 228 and Modern Dental College and Research Centre and Others v. State of Madhya Pradesh and Others, reported in (2016) 7 SCC 353. In Dinesh Singh Chauhan case, a three-judge bench had held that the state cannot provide reservation to in-service candidates to PG Courses. It had also held Regulation 9 to be a complete Code in itself and the provision for determining the inter-se merit of the candidates by giving weightage of marks as an incentive to eligible in-service candidates who have worked in notified remote or difficult areas in the state, as just, reasonable and necessary in larger public interest. placed the matters “before the Hon’ble the Chief Justice of India for consideration by a larger Bench. On behalf of the petitioners, It was submitted that though Regulation 9(4) provides for 10% incentive for every year of service in remote/difficult/rural areas up to a maximum of 30% of the score, the provision will not enure to the benefit of the in-service candidates. It was pointed out that the States have been following, for several reasons and for several years, the pattern of reservation in respect of 50% of State Quota for the in-service candidates. It was submitted that even in that 50%, the list can be prepared by providing the incentive for the service in difficult, rural or remote areas. It was also pointed out that the Regulations also have considered the power of the State to provide for reservation. This could be seen from Regulation 9(8) which provides for reservation of 50% of the seats in Post Graduate Diploma Courses for medical officers in Government service in the State who have served for at least three years in remote and difficult areas with a further condition of minimum continued service of two years in such areas. It was also the contention of the petitioners that if there can be such a reservation in the case of Post Graduate Diploma Courses, there is no justification for denying such a reservation in case of the Post Graduate Degree Courses. On behalf of the Union of India and the Medical Council of India, it was pointed out that once an Entry is provided under List I, it is the exclusive domain of the Union and even if the Union has not legislated exhaustively in respect of that Entry, the State cannot legislate on that subject. The reference of the bench had been invited to the decision of the Supreme Court in Gujarat University and Another v. Krishna Ranganath Mudholkar and Others reported in (1963) Suppl. 1 SCR 112.